Have you ever found a great travel deal but didn’t have the points or miles you needed to book? Today’s post covers a strategy you can use to book a flight now and redeem miles for a big discount up to four months later. Even better, if you play your cards right, you can earn up to $700 worth of miles between the time you book your trip and redeem your rewards. The traditional way to plan a trip with miles is to decide your goals far in advance, apply for the right rewards cards, and use your everyday spending to accumulate the points you need. This is a great strategy, and it’s still the only reliable way to secure high-value business and first-class tickets without paying an arm and a leg. But for those who don’t mind economy or premium-economy travel, there is an alternative approach that requires far less patience and knowledge to execute. 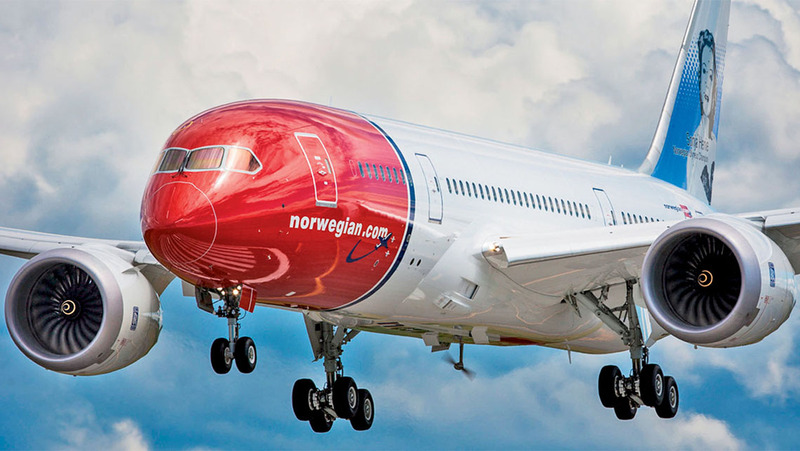 You can buy tickets on low-cost carriers like Norwegian on your card and then erase the purchase with Arrival Miles. The Barclaycard Arrival Plus® World Elite Mastercard® (See Terms) is currently offering a limited-time signup bonus of 70,000 bonus miles after spending $5,000 on purchases in the first 90 days. Thanks to some unique rules for redeeming Barclay Arrival miles, it’s possible to buy a flight before you have the miles to pay for it and retroactively apply the 70,000 bonus miles to knock $700 off the cost of travel. Unlike traditional frequent-flyer programs, which require you to have all the points and miles in your account before you can book an award, Arrival Miles are fixed-value rewards that allow you to ‘erase’ travel purchases as a statement credit. You pay for a flight, hotel, or other qualifying travel purchase with your Arrival Plus card, then redeem your Arrival Miles as a statement credit towards that purchase after the fact. Each mile is worth 1¢ towards the cost of travel, so 20,000 Arrival Miles will erase $200 from the cost of your flight or hotel stay. You also receive 5% of redeemed miles back as a rebate for future use, so you’ll get 1,000 miles back from the 20K in the example above. The Arrival Plus earns a flat 2x miles on every purchase, so that’s 2.1¢ back on every dollar you spend. Technically, you don’t need to have all the miles you plan to redeem in your account at the time you make a purchase. When you make a qualifying travel purchase with the Arrival Plus, Barclays gives you up to 120 days to redeem miles towards that transaction as a statement credit. With 120 days up your sleeve to erase a purchase, you can apply for the Arrival Plus card, purchase your flight when the card arrives, and redeem the miles for a statement credit after the welcome bonus posts to your account. The cost of your flight (or other travel purchase) count towards the minimum spend needed to earn your bonus, so opening your account right before you need to confirm a trip can give you a nice boost to your normal spending. To be clear, you shouldn’t use this strategy if you can’t afford to cover the cost of your flight up front. You’ll need to pay your credit-card bill in full when your statement is due to avoid interest, so it’s ideal to have that cash available within a month of making your initial purchase. The advantage of this strategy is that you can purchase a revenue ticket with rewards before you actually have those rewards in your account. Once you earn your welcome bonus, you can redeem for a statement credit before the 120-day window is up. Fortunately, Arrival Miles are awarded as soon as the transaction posts to your account, so you don’t need to wait for your statement to close to receive miles earned from regular spending. The same applies to the signup bonus—as soon as you meet the minimum spend, the welcome bonus should post to your account. Since the window to meet the minimum spend is 90 days, and the window to redeem miles as a statement credit is 120 days, there should be ample time to apply the bonus miles to qualifying travel purchases made during the minimum-spend period. You don’t need to cover the cost of the entire purchase with Arrival Miles. If you pay $1,000 for a flight, but you only have 70,000 miles in your account, you can still knock $700 off the cost of the ticket, leaving yourself with only $300 in total costs. You can only get a statement credit for travel purchases made within the last 120 days. The merchant must code as travel for the purchase to qualify for a statement credit. Barclays defines travel as “…airlines, hotels, motels, timeshares, campgrounds, car rental agencies, cruise lines, purchase and travel agencies, discount travel sites, trains, buses, taxis, limousines, ferries and the account annual fee as defined by the merchant category code.” If the purchase doesn’t code as travel from the merchant, it won’t qualify. The ideal rewards strategy is to have a mix of options that includes fixed-value rewards, transferrable points, and airline miles. Each type of points comes with unique advantages and disadvantages. If you’re well diversified, you can use the type of points that fits your situation. In the case of fixed-value rewards—like those earned with the Arrival Plus card—you’ll do best in situations where paid airfare is relatively cheap or when the itinerary you want isn’t available as an award ticket. Most frequent flyer programs require you to have enough miles to cover the entire trip (or at least a one-way award) at the time of booking. With up to 120 days to redeem Arrival Miles retroactively, you can use the power of your future spending to earn the miles needed cover trips you want to confirm right away. Since Barclays doesn't require you to cover the entire cost of a travel purchase, you don't have to worry about reaching a specific number of miles. Just redeem your available miles for a statement credit and cover the remaining value with cash. 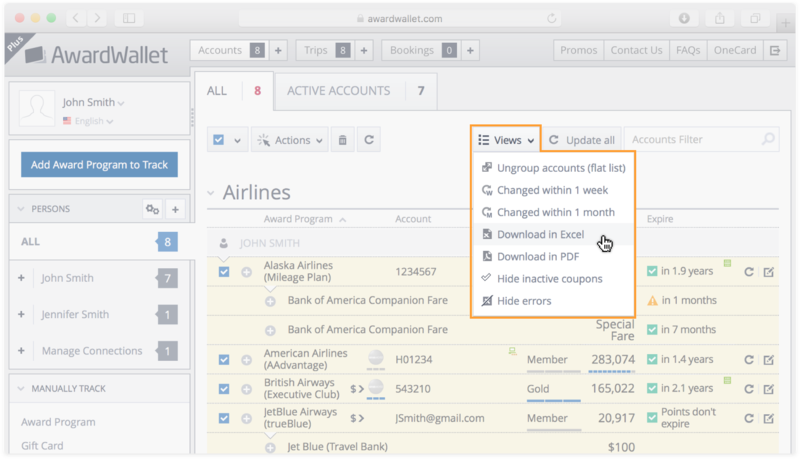 Although fixed-value rewards can't deliver the same kind of jaw-dropping deals you can get with a well-planned award ticket, their simplicity and flexibility are great reasons to add them to your points and miles arsenal. An interesting strategy but I think I will hold off for something better to stay within 5/24. This is a great point. Is this card compelling enough to be worth potentially limiting you from cards that offer more value? It’s a no for me. Wow, I had no idea this was possible with Barclays points… that definitely elevates their value in my estimation. Thanks for the heads up! This is a fantastic offer! We used our bonus of only 40k points several years ago to help cover the flight costs from Moorea to Bora Bora. Excellent card for purchases like Walmart, doctor bills, dental bills, etc. that would normally only get 1x points! You can also do similar actions with other cards, such as Capital One Venture. Thanks for the heads up that the Capital One Venture allows for this strategy as well! Thanks for the post. 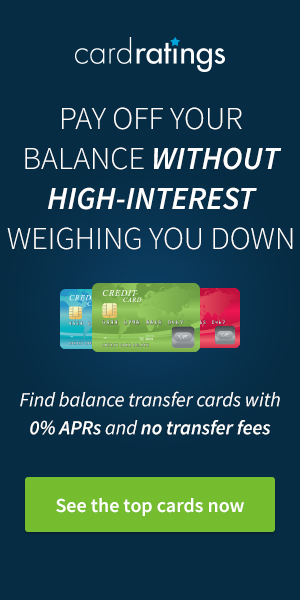 All things being equal, how would you compare this card with an airline specific card such as Chase United MileagePlus or Citi American Airlines? They have different uses. Airline cards are a great way of collecting miles for premium cabin rewards, and you can score money saving perks like free checked bags and discounts on in-flight purchases. Arrival Miles will cover any purchase that codes as travel, from Uber and taxi fares through to award fees and taxes at a fixed return, provided the expense is more than $100. This is very interesting and something worth looking into. I tried applying for this card but had to submit a tax form to prove my income. They wouldn’t tell me why. It’s unfortunate that Barclaycard has restrictions making it more difficult to get approved for their cards. That is interesting. I never have had that happen. Were you eventually approved? yes!! This is a great way to earn and redeem award travel miles!!! Now that’s some really good news! THX! I used this strategy to offset most of the cost to upgrade a ticket (Y to J) on Air India. 16 hours in lie flat was worth it. 100%! Great use of Arrival Miles. I can barely imagine 16 hours on Air India without the upgrade! This seems like something you really need to pay attention to if you’re going to try to take advantage of. To me though, it’s really risky! It’s like a whole new system of credit. What happens if you don’t make minimum spend and/or want to cancel your card? Slippery slope. This is a feature I didn’t read about…I should try this. Thanks for all the info on how this works. Thank you for the information. This can be a good way to help meet the minimum spend requirements. This is a great strategy and is something that I will certainly consider the next time I am planning a trip that is not going to include business class tickets. I love the idea that the travel costs count towards the minimum spend. Thanks. I just opened last month. Arrival miles sounds great but if they are 1 mile to 1 cent then it is not worth it. Note that you earn a flat rate of 2x points on every dollar spent, plus you get 5% of redeemed points back as a bonus so you are effectively getting 2.1% back. A better return than a 2% cash back card. Interesting and potentially useful idea. The more options, the better. I just reread this article since it’s such different info from what I knew, I can’t get over being able to just erase a purchase! So flexible! I’ve not been a fan of the Arrival due to the lack of benefits to make up for the annual fee. For a flat 0.021 back, you might as well go with a no annual fee 2% cash back card. To some degree, yes. Where this card comes into its own is paying items like award fees and taxes (which can sometimes total hundreds of dollars). By paying the fees and taxes with the card you are then covered by the card’s travel protections like Trip Delay and Trip Interruption/Cancellation insurance (Best Cards for Travel Insurance), and provided the fees are more than $100 you can then wipe the charge out with Arrival Miles. Thank you for mentioning this card. 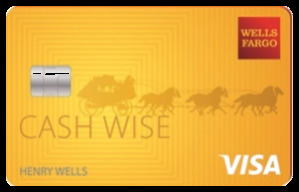 i’m still trying to grok the value of this 2.1% back vs a no annual fee 2% cashback card. Doesn’t it essentially give you the money back as cash an then be able to use it for anything without any restriction ? Nice play now, pay later benefit. interesting concept. Don’t have the 5/24 flexibility to try it, but pointing a friend to this blog. Interesting. But like money, I always think it’s better to spend only what you already have! I had no idea you could redeem points you haven’t even accumulated yet! Definitely will keep this in mind…. I like the flat earning structure and no hoops or devaluation to worry about. This sounds like a good strategy. Thanks for the tip. This is a nice feature to have. I’ll have to add to my consideration list for future cards. Interesting, I’ve never heard about this sort of option before. I noticed a few comments mentioning other credit cards that offer arrival miles. Would it be possible to get a full list? Thanks for replying! No wonder I wasn’t getting too far in my search for other credit cards that use arrival miles. Will you still receive the 70000 bonus if you have had this card in the past? After one year, is there no annual fee cc for downgrade? I am not sure if I would keep this card. Interesting idea. I doubt I’d use it, but still neat to know about. Barclays cards have always intrigued me. I should really open this card already! Still have slots left within 5/24, but maybe after that. It is nice to have flexible spending options. Do I still get bonus points if I previously applied the arrival plus card, and later converted to Arrival card? But we also hear of plenty of past cardholders getting approved for the card. YMMV. I have had the Barclay Arrival Plus card for a couple of years now and I do like that I can redeem for any travel purchase, no matter the brand. With this higher offer of 70k, would this be an acceptable choice while still under 5/24? I am in 2-player mode and we are both only at 2/24. We have CSP,CSR, Companion pass, CIP cards already. Only if you’ve collected all the Chase cards you need before applying, including business cards. Now that 5/24 applies across all of Chase’s rewards cards it’s essential to fill your Chase portfolio before moving on to other providers. Interesting strategy. Initially seems more risky, but I think that it makes a lot of sense, particularly since a $5k spending requirement is a tough nut to crack for me. Seems like a great deal! I will have to look into this card. This is an awesome rewards program. I love knowing I don’t have to deal with the sometimes hassle of gathering my points, having almost just enough, or figuring out the best way to use them. I think this card is definitely worth having for convenience.